You dad is the one who actually taught you love. That love that you spread among people later. He spent money on you, fulfill your wishes and do all the things for you to make your happy. You expect a lot from your dad but your dad never ask for the return. But in old age they want your care, love and expect a lot from you. This is now your duty to return all the things to him in his old age. Take care of him and love him for all his wishes that he sacrificed for you. If you are a son, you will realize this in your old age. So regretting later, you should make all the things done for your dad. You should surprise him with your gifts. He becomes very sensitive in old age and also become happy on small things. Your dad is the first hero who brought watches, toys, camera, and mobile phone etc for you to fulfill your wishes. He is the one with whom you enjoyed a lot in your childhood. In old age he becomes sensitive just like a kid. He expects to bring such small things that will make him happy. You can avail the chance on this coming father’s day and let him feel that he has still someone who loves him in his old age. If you are thinking to bring something that is unique and affordable, I would recommend buying a watch that will help your dad to do his important work on time. After you buy a watch for him, he does not need to ask someone about time, or look into the clock to check the time. If you decided to gift your father a unique watches on this father’s day you might be now confused which one will be the best?. There are many watches that aren’t suitable for old age but break watches are unique watches that are not that much complicated. Your father can handle it and there is no chance to put it into dustbin if fall into the water. So, if you want to buy beautiful, affordable and unique watches for your father, break watches are the best choice for him. You can get any type of watch according to the choice of your father. These watches are long lasting that can run throughout the life. Your father can easily use this watch without making him uncomfortable. Moreover, you can get variety of colors that will not make your father disappointed because they have all the colors according to different ages. You can get these watches from break. 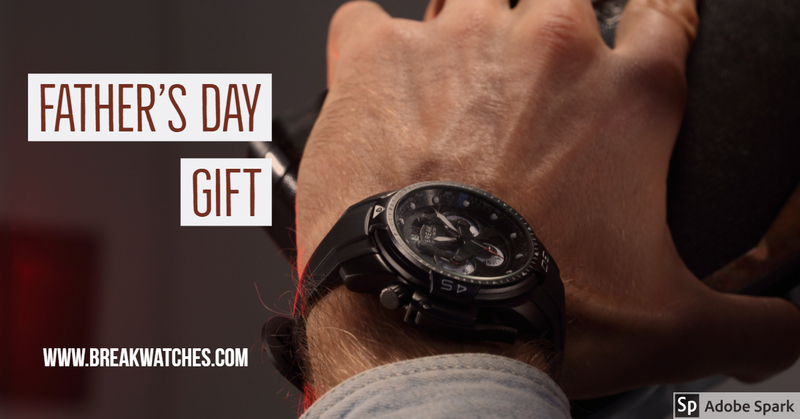 There are special watches designed especially for fathers on father’s day. Go and avail the offer now.